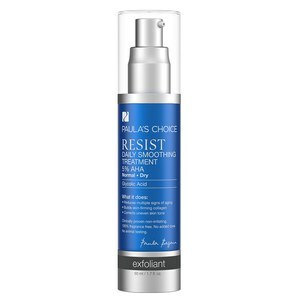 Resist Optimal Results Hydrating Cleanser is a silky, luxurious cleanser. Its smooth lotion texture softens and replenishes skin yet rinses without a residue. This exceptionally gentle cleanser quickly removes makeup and helps fights the signs of aging by soothing, preserving, and reinforcing skin's natural barrier during the cleansing process. 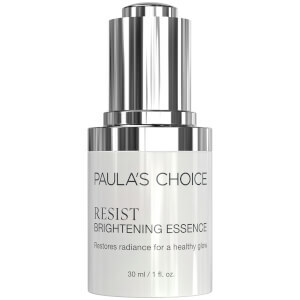 It is specifically formulated for use with Paula's Choice Resist anti-aging line and is the first Paula's Choice cleanser to have a built-in, lockable pump. Water, Caprylic/Capric Triglyceride, Decyl Glucoside, Glycerin, PEG-20 Methyl Glucose Sesquistearate, PPG-20 Methyl Glucose Ether, Methyl Gluceth-20 , Glyceryl Stearate, Stearyl Alcohol, Polyacrylamide, Camellia Oleifera (Green Tea) Leaf Extract, Chamomilla Recutita (Matricaria) Flower Extract, Sapindus Mukurossi (Soapberry) Peel Extract, Methyl Glucose Sesquistearate, C13-14 Isoparaffin, Laureth-7, Xanthan Gum, Disodium EDTA, Citric Acid, Caprylyl Glycol, Ethylhexylglycerin, Hexylene Glycol, Phenoxyethanol. Very lovely cleanser. Non-stripping, comforting. My skin felt quite soft after using.